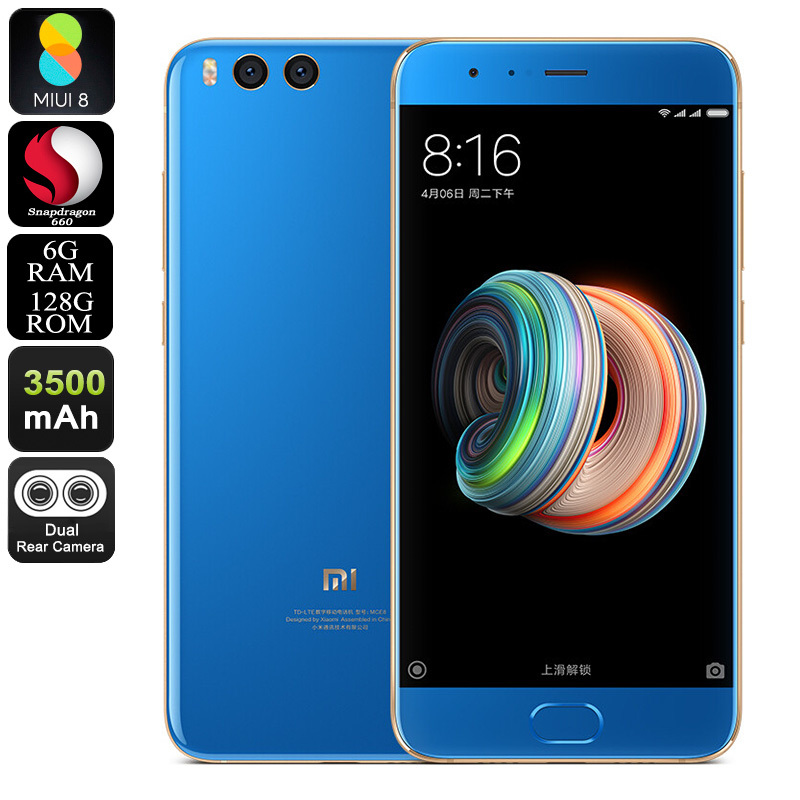 Successfully Added Xiaomi Note 3 Smartphone - Octa-Core Snapdragon CPU, 6GB RAM, 12MP Dual-Cam, Android 7.1, Face-ID, FHD Display, 3500mAh (Blue) to your Shopping Cart. With its Octa-Core processor clocked at 2.2GHz, the Xiaomi Note 3 is sure to impress. This powerful Android phone packs the latest hardware, allowing you to enjoy demanding software features without dropping a frame. Its Octa-Core CPU is backed up by a whopping 6GB of RAM. Whether you wish to play games, enjoy Apps, or watch movies – nothing will slow this Android smartphone down. The cell phone comes with 128GB internal storage. This offers you plenty of room to keep your media. Thanks to its ultra-fast fingerprint scanner, you’ll be able to access all your files with the simple touch of a finger. The Xiaomi Note 3 Android phone features a beautiful 5.5-Inch display. On this screen, you’ll be able to undergo a stunning visual experience in 1080p resolutions. The Android 7.1 operating system is guaranteed to set forth a smooth and lag-free performance at all times. With its 3500mAh battery in place, this latest smartphone lets you enjoy all its features for up to 10 hours in a row. With this Android phone in your pocket, you’ll never have to worry about running out of juice again. Like most of the latest Android phones, the Xiaomi Note 3 supports Dual-IMEI numbers. This means that you’ll be able to slide in two SIM cards and stay connected to two providers at once. It furthermore treats you to 4G. This means you can access the fastest mobile data speeds no matter where you’re at. To further increase your connectivity and data sharing capabilities, the phone supports Bluetooth 5.0. It furthermore comes with a mesmerizing 16MP front camera and stunning 12MP Dual-Lens rear camera. The latter lets you shoot Ultra-HD 4K video of all your upcoming adventures.